Cool PolarPro new accessories for Osmo Pocket! Nice find PP make some nice stuff. PolarPro are very innovative. I will certainly be buying some of these. Thanks for sharing. Yes they are, I am looking forward also... have a great day. Well my order just went in for everything. Looks like the industry is taking this product seriously. That&apos;s a good sign. Totally agree. PolarPro takes care of some little details that show how more pragmatic they are. For example, their action (aka GoPro) mount has more positions AND you can leave the phone adapter on the thing so you don&apos;t loose it. Also, I really don&apos;t understand why DJI didn&apos;t included a tripod socket on the WiFi module or even better on the OP itself. I hope PolarPro makes a mount where you can fit and secure both the wireless module and the OP. I wouldn&apos;t trust using the wifi mount on a selfie stick. Once you go wireless, you don&apos;t want to go back to a cable extension or attach the op to your phone. Please PolarPro, hear my prayers if you read this. BTW welcome to the forum El Diabolico! Hello and good day El Diabolico. Thank you for sharing this information and thank you for your support. Picked up the Gimbal Lock. Exactly what I was looking for, a quick way to secure the OP while on the go. Hope I receive it by tomorrow though. Hi! The Action Mount does cover the front facing mic when closed. However, through our use and testing, we have found the noise reduction to be negligible and a very minor impact to quality. Noted, thanks for your feedback! Thanks for your feedback, Joemar7. Your suggestion is noted and will be passed along! You should make a variation of the Minimalist Case that fits the OP with the Action / Tripod Mount. Thanks, El Diabolico! 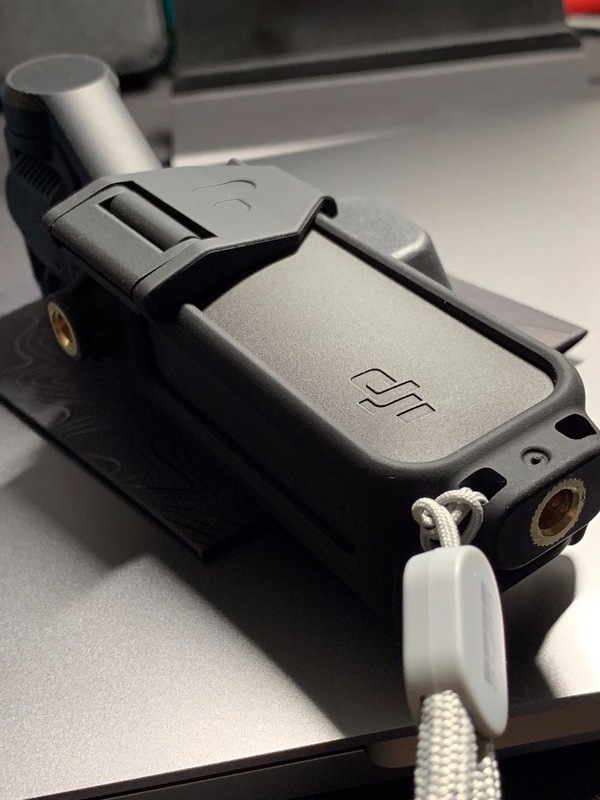 Your suggestion on the case is a good one, though we felt the it should be as compact as possible to promote the fact that the Osmo Pocket is a small device and we did not want to stray away from that. I will speak with the team on this though to perhaps carry another offering. Noted on the availability and shipping to EU. At this time all products are live on Amazon and we plan to do a better job maintaining and adding new products going forward. At the same time we are working to open up new distribution and retail opportunities to provide a quick and painless purchase experience! I received the Tripod Mount and Gimbal Lock today. I like them both very much. They have a soft touch feel to them. The Tripod Mount has two holes in the bottom which works great as a place to attach a neck strap which I have wanted on my OP since I received it. It attaches nicely to the OP and feels comfortable for hand holding. Great, thanks for the info. Is the inside of the mount padded? Hi Brendan, appreciate your quick reply. I don’t remember, but I will check tonight and post a reply. It has a really soft like texture to it. I didn’t seem like it would scratch the OP. The WiFi adapter should have a cutout opposite the USB-C cutout so you can see the LED of the WiFi module. 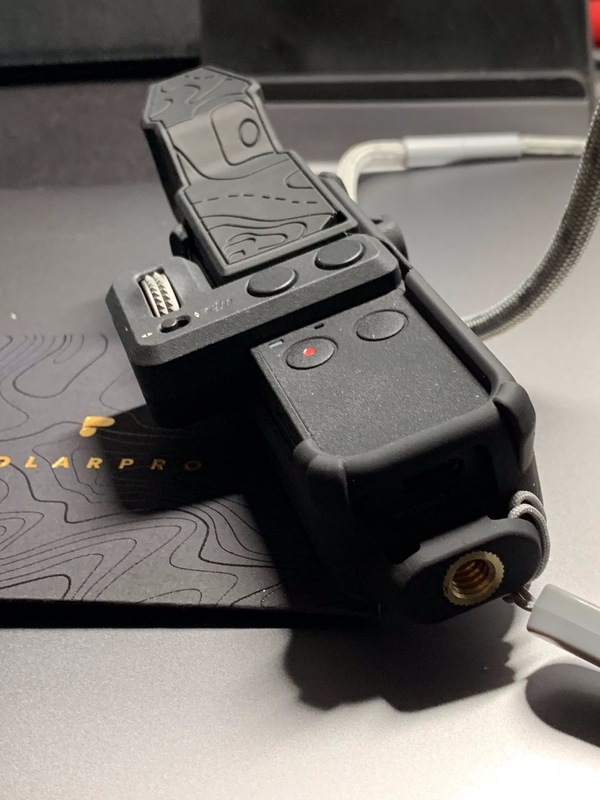 Received the PolarPro case and it is a must have. This is so great... Looking forward to receiving this. Now, only need to wait for 3rd party waterproof case.. It is a bit pricey IMO, but seeing the grip, I think it is very well built! Sorry for delay. Yes it does have padding on the top sides and at the bottom. Easy to install and remove when needed. Highly recommended. I gotta say, the tripod mount is the ideal "first addition" to Pocket kit. Being able to 1) keep the control wheel on while attached, 2) full access to the bottom USB-C connector, 3) being able to add a strap to the CAMERA (not the case) makes it invaluable! Very excited about this one! We are working hard to make it available ASAP! Thanks for your suggestions WebParrot! I will speak with the group about adding the Osmo Pocket filters to the "Custom" section on our web page where you could buy individually or as a collection with ND8, ND16, and ND32 or any variation desired! I have a question for anyone here or maybe @PolarPro_Brendan can weigh in. I really like the ND filters especially because PolarPro considered protecting the lens of the OP by providing a coating on the filter. I was reluctant to buy filters until now. My question is how big of a difference in colors will I see between the ND filters vs the ND/PL filters? The text on the PP website says for a more natural color on the plain ND filters. Also, without connecting a phone to the OP as a monitor, which I rarely ever do as I like the controller, will I really be able to see in the OP monitor enough detail to adjust the polarization? I purchased the ND/PL filter set but wonder if I should have just purchased the ND filter set. Before I receive them on probably Wednesday, I hope to get some feedback. PolarPro filters have a rubber coating on top on the magnet to avoid scratching the camera module not the lens itself. I liked that more compared to the naked metal on metal from the Skyreat (I own both). Polarization saturates colors and increase contrast, therefore it is normal for a non-polarized ND filter to produce more accurate colors considering that it is of a good quality and do not introduce any weird color casts. 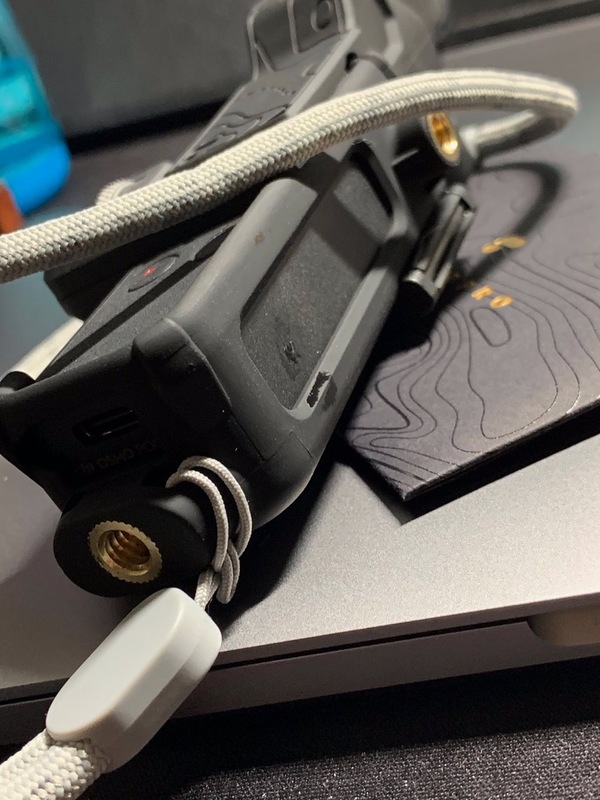 [as of Feb 12, 2019] ... FWIW, I was just referring a Poster from MavicPilots forum to the PolarPro website for the TriPod Mount... they are sold out of a number of the Pocket items, including the Tripod Mount! Word gets around! Several of the accessories from our initial inventory have sold out. We are planning to have these back available on the website the week of the 25th. Is there a possibility of an adjustable ND filter in the future? Fixed ND filters are fine for controlled lighting, but in many ways useless in variable lighting conditions unless you use auto ISO to control the exposure, but this can lead to higher noise issues unless you constantly swap out the filter, which becomes a real hassle. I realise it&apos;s possible to adjust minor exposure issues in post, but it would be great if we could control the exposure by simply turning the filter element.